The Empty City is soon out in French as Une Ville Vide from French publisher Publie.net, translated by François Bon. 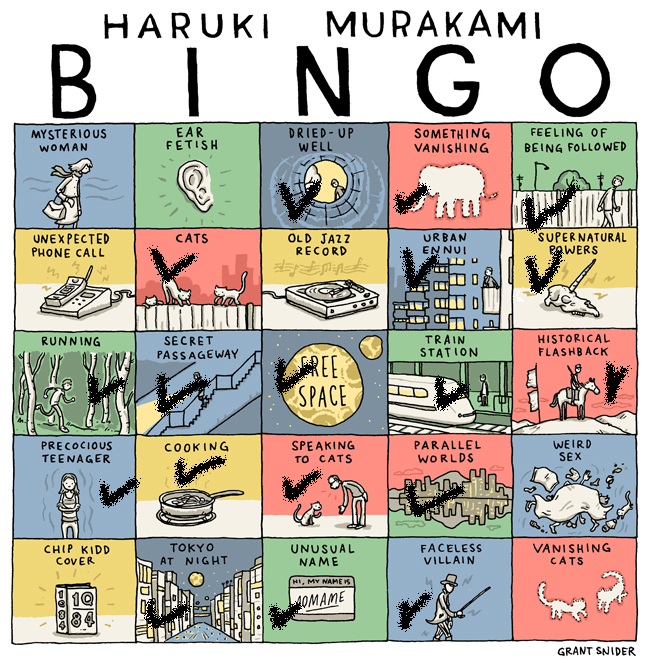 There is a bingo card by Grant Snider based on Haruki Murakami’s work. It seems to fit The Empty City too. Click on the bingo card to see a larger version. The Empty City has no dry well, but a dry fountain, so I checked that square. It’s not set in Tokyo either, but has many cityscapes by night. The first chapters of The Empty City are available here. “Une ville vide” rather than “Un ville vide”, I think. I’m waiting for this translation (I’m sure I will enjoy it).